The mission of the Peer Support Program (PSP) is to offer confidential assistance and support to all Local 22 Health Plan members and their families, during times of personal need or due to traumatic incidents. The PSP augments the Local’s and PFD’s Employee Assistance Program (EAP) but does not replace psychological treatment. The objective of the PSP is to minimize psychological trauma that Local 22 members and their families may experience throughout their career and render assistance in an attempt to accelerate normal recovery to abnormal events, some of which are unique to Firefighters and EMS providers. If you find yourself in crisis, you can contact any of the above committee members 24/7 or reach out to any of the resources listed on this website (under resources). A list of all Peer Support Members are listed below. All communications are kept strictly confidential. Our Team is made up of thirty Local 22 members who come from all ranks in the Philadelphia Fire Department. They come from Fire and EMS. Both active and retired members are trained and committed to help support our Local 22 brothers and sisters on the job, as well as their families. Carman Jeffrey 267 992 1912 jcarm44@yahoo.com 1st Bn. McKiernan Tommy 215 485 8920 tmckiernan@iaff22.org 1st Bn. Stratton Joe 267 670 0852 jstratton655@gmail.com 1st Bn. Belvey Lamont 267 229 7912 truehero2@yahoo.com 2nd Bn. McLaughlin Karen 215 300 7979 karmclaughlin@comcast.net 2nd Bn. Verros Tommy 215 776 0280 Veeusmc@aol.com 2nd Bn. Gibson Robert 267 252 5643 skull3833@yahoo.com 3rd Bn. Gordon Khyle 27 463 6882 unlimitedtotalfitness@gmail.com 3rd Bn. Mesete Steve 215 301 1537 smesete922@yahoo.com 4th Bn. Stankiewicz John 215 833 9765 jstankiewicz@iaff22.org 4th Bn. Wnek Frank 267 784 7467 fpw4317@comcast.net 4th Bn. Sullivan Sean 267 240 5143 sullytruck15@gmail.com 7th Bn. Dugan Sean 267 343 5913 shadug2@yahoo.com 7th Bn. Wnek Matthew 267 784 7467 matthewwnek@comcast.net 7th Bn. Brown Edward 215 680 5113 axe1smasher@hotmail.com 8th Bn. Lopez Ivan 215 275 9726 ivaneng29@aol.com 8th Bn. Roman Franco 215 498 5243 froman777@gmail.com 8th Bn. Jarosz Caroline 215 941 1587 crljaro02@gmail.com 9th Bn. Watson Mike 215 275 5590 firestpr111@gmail.com 9th Bn. Grillone John 215 218 8196 grill-1@verizon.net 10th Bn. McCloskey Christine 215 613 7296 Chrissymc8180@yahoo.com 10th Bn. Crisanti Joe 215 704 5864 chrimcegett@aol.com 11th Bn. Diamond Jim 267 249 9221 james.diamond@phila.gov 11th Bn. Gardener Joseph 215 870 4435 jsg77@icloud.com 12th Bn. Howard Marc 215 637 4203 marc.howard@phila.gov 12th Bn. Sylvester Tommy 215 266 0786 tsyl723@verizon.net 13th Bn. Yaeger George 215 617 6145 gyaeger@livengrin.org 13th Bn. Yaeger Mike 215 514 5288 myaeger@livengrin.org 13th Bn. Local 22 Health Plan is in the process of building a strong Crisis Management Team to include trained IAFF Peer Support Counselors, Chaplin Services, Behavioral Health Specialist, along with a list of resources gathered to provide our membership with the best Behavioral Health Services available. 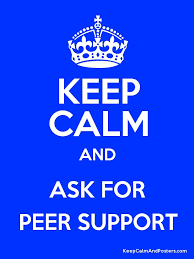 We cannot stress enough that these are completely confidential experiences between you and your Peer Support Counselor. We are here to support you! We want to help you! These services are absolutely confidential. if you or someone you love needs help you can contact us 24/7.